The way in which data is moved via wireline and wireless connectivity is going through major transformations. The dynamics that are causing these changes are being seen across a broad cross section of different sectors. Within our cars, the new features and functionality that are being incorporated mean that the traditional CAN and LIN based communication technology is no longer adequate. More advanced in-vehicle networking needs to be implemented which is capable of supporting multi-Gigabit data rates, in order to cope with the large quantities of data that high resolution cameras, more sophisticated infotainment, automotive radar and LiDAR will produce. With CAN, LIN and other automotive networking technologies not offering viable upgrade paths, it is clear that Ethernet will be the basis of future in-vehicle network infrastructure – offering the headroom needed as automobile design progresses towards the long term goal of fully autonomous vehicles. Marvell is already proving itself to be ahead of the game here, following the announcement of the industry’s first secure automotive gigabit Ethernet switch, which delivers the speeds now being required by today’s data-heavy automotive designs, while also ensuring secure operation is maintained and the threat of hacking or denial of service (DoS) attacks is mitigated. Within the context of modern factories and processing facilities, the arrival of Industry 4.0 will allow greater levels of automation, through use of machine-to-machine (M2M) communication. This communication can enable the access of data — data that is provided by a multitude of different sensor nodes distributed throughout the site. The ongoing in-depth analysis of this data is designed to ultimately bring improvements in efficiency and productivity for the modern factory environment. Ethernet capable of supporting Gigabit data rates has shown itself to be the prime candidate and it is already experiencing extensive implementation. Not only will this meet the speed and bandwidth requirements needed, but it also has the robustness that is mandatory in such settings (dealing with high temperatures, ESD strikes, exposure to vibrations, etc.) and the low latency characteristics that are essential for real-time control/analysis. 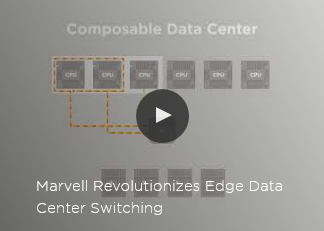 Marvell has developed highly sophisticated Gigabit Ethernet transceivers with elevated performance that are targeted at such applications. Within data centers things are changing too, but in this case the criteria involved are somewhat different. Here it is more about how to deal with the large volumes of data involved, while keeping the associated capital and operational expenses in check. Marvell has been championing a more cost effective and streamlined approach through its Prestera® PX Passive Intelligent Port Extender (PIPE) products. These present data center engineers with a modular approach to deploy network infrastructure that meets their specific requirements, rather than having to add further layers of complexity unnecessarily that will only serve to raise the cost and the power consumption. The result is a fully scalable, more economical and energy efficient solution. In the wireless domain, there is ever greater pressure being placed upon WLAN hardware – in the home, office, municipal and retail environments. As well as increasing user densities and overall data capacity to contend with, network operators and service providers need to be able to address alterations that are now occurring in user behavior too. Wi-Fi connectivity is no longer just about downloading data, increasingly it will be the uploading of data that will be an important consideration. This will be needed for a range of different applications including augmented reality gaming, the sharing of HD video content and cloud-based creative activities. In order to address this, Wi-Fi technology will need to exhibit enhanced bandwidth capabilities on its uplink as well as its downlink. The introduction of the much anticipated 802.11ax protocol is set to radically change how Wi-Fi is implemented. Not only will this allow far greater user densities to be supported (thereby meeting the coverage demands of places where large numbers of people are in need of Internet access, such as airports, sports stadia and concert venues), it also offers greater uplink/downlink data capacity – supporting multi-Gigabit operation in both directions. Marvell is looking to drive things forward via its portfolio of recently unveiled multi-Gigabit 802.11ax Wi-Fi system-on-chips (SoCs), which are the first in the industry to have orthogonal frequency-division multiple access (OFDMA) and multi-user MIMO operation on both the downlink and the uplink. 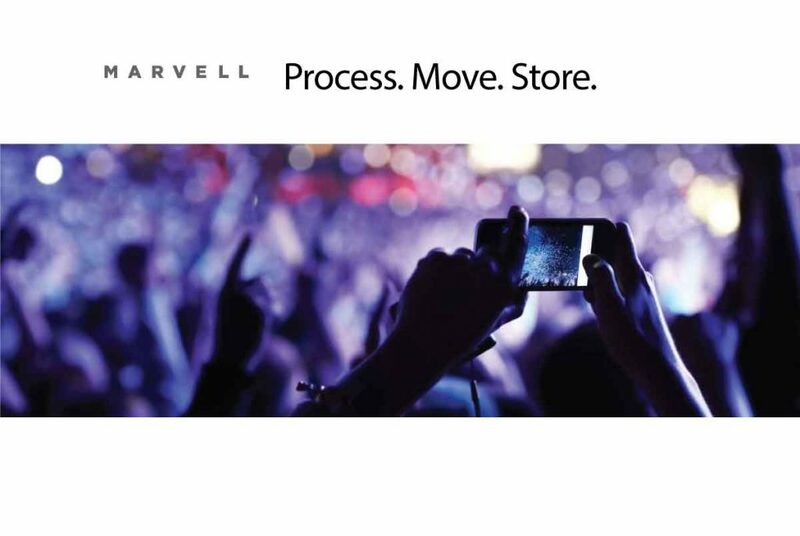 Check out www.marvell.com to learn more about how Marvell is moving the world’s data. The semiconductor industry is witnessing exponential growth and rapid changes to its bandwidth requirements, as well as increasing design complexity, emergence of new processes and integration of multi-disciplinary technologies. All this is happening against a backdrop of shorter development cycles and fierce competition. Other technology-driven industry sectors, such as software and hardware, are addressing similar challenges by creating open alliances and open standards. This blog does not attempt to list all the open alliances that now exist — the Open Compute Project, Open Data Path and the Linux Foundation are just a few of the most prominent examples. 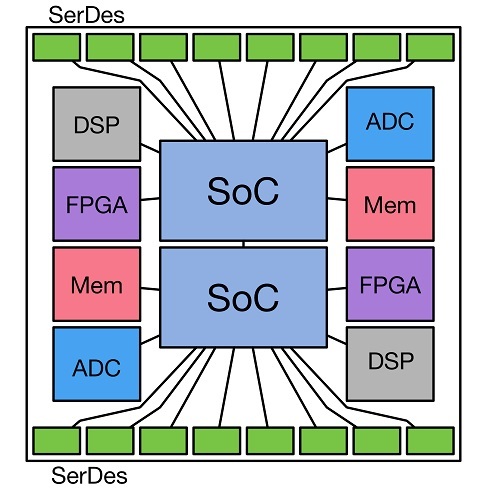 One technological area that still hasn’t embraced such open collaboration is Multi-Chip-Module (MCM), where multiple semiconductor dies are packaged together, thereby creating a combined system in a single package. Improved yield – Instead of creating large monolithic dies with low yield and higher cost (which sometimes cannot even be fabricated), splitting the silicon into multiple die can significantly improve the yield of each building block and the combined solution. Better yield consequently translates into reductions in costs. Optimized process – The final MCM product is a mix-and-match of units in different fabrication processes which enables optimizing of the process selection for specific IP blocks with similar characteristics. Multiple fabrication plants – Different fabs, each with its own unique capabilities, can be utilized to create a given product. Product variety – New products are easily created by combining different numbers and types of devices to form innovative and cost‑optimized MCMs. Short product cycle time – Dies can be upgraded independently, which promotes ease in the addition of new product capabilities and/or the ability to correct any issues within a given die. For example, integrating a new type of I/O interface can be achieved without having to re-spin other parts of the solution that are stable and don’t require any change (thus avoiding waste of time and money). Economy of scale – Each die can be reused in multiple applications and products, increasing its volume and yield as well as the overall return on the initial investment made in its development. Sub-dividing large semiconductor devices and mounting them on an MCM has now become the new printed circuit board (PCB) – providing smaller footprint, lower power, higher performance and expanded functionality. Now, imagine that the benefits listed above are not confined to a single chip vendor, but instead are shared across the industry as a whole. By opening and standardizing the interface between dies, it is possible to introduce a true open platform, wherein design teams in different companies, each specializing in different technological areas, are able to create a variety of new products beyond the scope of any single company in isolation. This is where the USR Alliance comes into action. The alliance has defined an Ultra Short Reach (USR) link, optimized for communication across the very short distances between the components contained in a single package. This link provides high bandwidth with less power and smaller die size than existing very short reach (VSR) PHYs which cross package boundaries and connectors and need to deal with challenges that simply don’t exist inside a package. The USR PHY is based on a multi-wire differential signaling technique optimized for MCM environments. There are many applications in which the USR link can be implemented. Examples include CPUs, switches and routers, FPGAs, DSPs, analog components and a variety of long reach electrical and optical interfaces. Marvell is an active promoter member of the USR Alliance and is working to create an ecosystem of interoperable components, interconnects, protocols and software that will help the semiconductor industry bring more value to the market. The alliance is working on creating PHY, MAC and software standards and interoperability agreements in collaboration with the industry and other standards development organizations, and is promoting the development of a full ecosystem around USR applications (including certification programs) to ensure widespread interoperability.